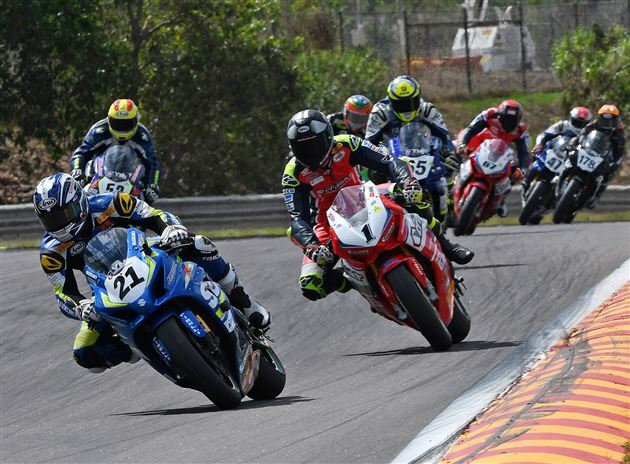 It was maiden wins for Josh Waters in both Australian Superbike Championship Round 4 races held at the Hidden Valley Raceway in Darwin last Sunday. 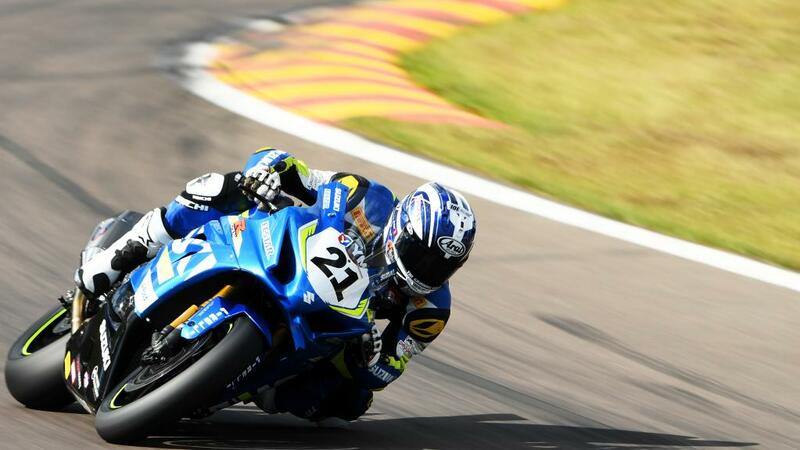 Riding Suzuki’s brand new GSXR-1000R for the first time, Waters showed just how competitive the new-generation Suzuki is when he put daylight between him and the Yamaha, Honda and Kawasaki brands that previously dominated the Series. Both ASBK races were action packed as favourites Daniel Falzon [Yamaha YZF-R1] and Kyle Buckley [Kawasaki ZX-10R] both fell trying to maintain the hectic pace. Buckley was injured and taken off by the Medical Team, Falzon once again managing to remount his bike and continue. The incident caused a red flag period and a restart. Waters was elated as it was the first 2017 ASBK race win for the newly formed Team Suzuki ECSTAR team on their brand new Suzuki GSXR1000R. previous post: KTM’S JARROD BROOK WINS FOUR FROM FIVE. next post: KTM Clean Sweeps Hattah Desert Race. Daniel Milner Wins on 500 EXC-F.